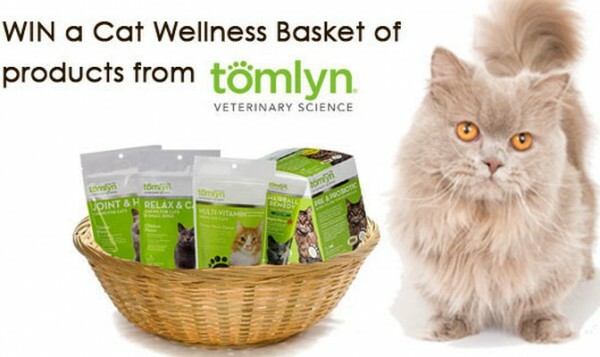 We are joining up with Tomlyn to give away seven Cat Wellness Packs to Catster fans. Each pack contains more than $100 worth of Tomlyn products, so your cat can feel her best from the inside out. Get more information about Tomlyn products on the Tomlyn website, and like the Tomlyn Facebook page for special offers and updates. NO PURCHASE NECESSARY TO ENTER. Sweepstakes is open to legal residents of the 50 United States or District of Columbia, age 21 or older. Entries must be received between 12:00:01 AM PT on 07/01/16 and 11:59:59 PM PT on 07/31/16. See Official Rules. Void where prohibited by law. Sponsor: Lumina Media LLC. Prize provided by Tomlyn.